We are proud to be one of this year’s finalists in the prestigious Oracle Innovation Award in the “move workloads to the cloud” category. 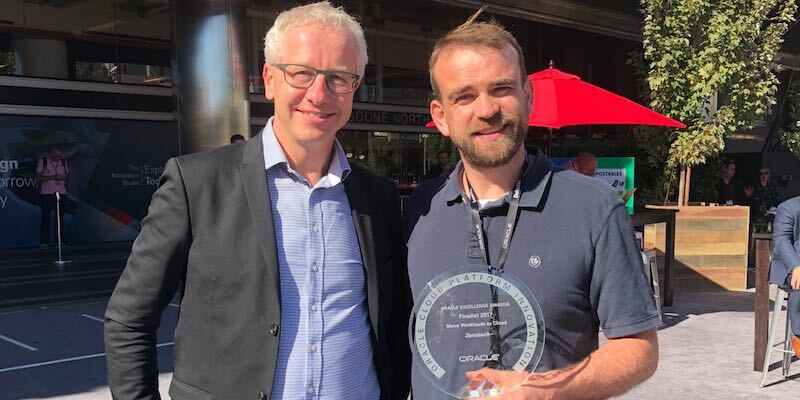 Mike Turner, our EPIC software product lead, collected the trophy from the awards ceremony at Oracle Open World in San Francisco, one of the biggest tech conferences in the world. Zenotech was selected, ahead of over 70 nominations in the category, in recognition of our innovative use of Oracle’s Cloud Infrastructure. 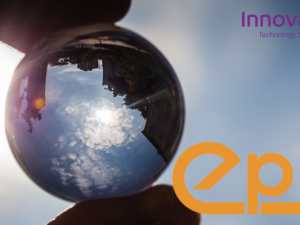 We use Oracle Cloud to simulate complex engineering challenges through our EPIC software platform (Elastic Private Interactive Cloud) allowing customers to run and scale complex jobs in a high computing environment. The Oracle Cloud offers access to huge computing resources, and some of the latest hardware in the world, without the overheads or extra management costs. To share our insight, Mike led two sessions at Oracle Open World, discussing how we harness the power of the Oracle Cloud Infrastructure on projects as diverse as optimising wind farms to building high performance apps in the Oracle Cloud. Zenotech delivers innovative, HPC cloud-based solutions, and its systems work to enable clients to be more agile, flexible and react quickly to the ever-changing computational engineering market place. The exciting tech company is based at Bristol and Bath Science Park in Bristol, and is part of the SetSquared partnership.